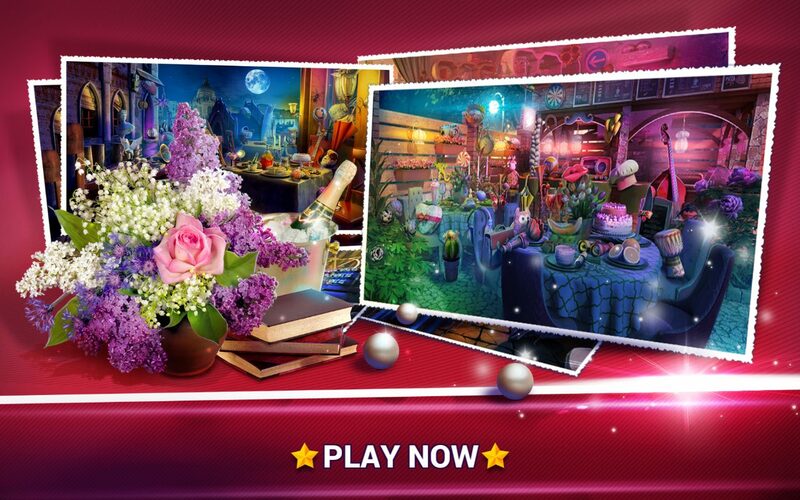 Are you ready for the best hidden object games free? 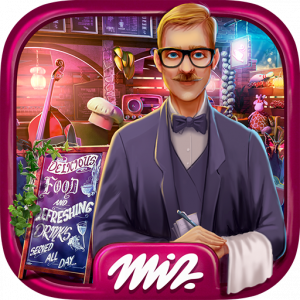 If restaurant games and cooking games are your passion, you’re ready for the greatest hidden object game at the restaurant! Therefore, put on your chef’s hat, grab your magnifying glass and start looking for the hidden objects in the world’s coolest mystery game! Hidden Objects Restaurants for our avid players! Awesome zoom feature for phones! Are you ready to write your own cooking story while making a restaurant home makeover? You better be ready, because restaurant games full free are waiting for you! If cooking games for girls are your thing, you will enjoy cleaning up food in beautiful restaurants from all over the world! 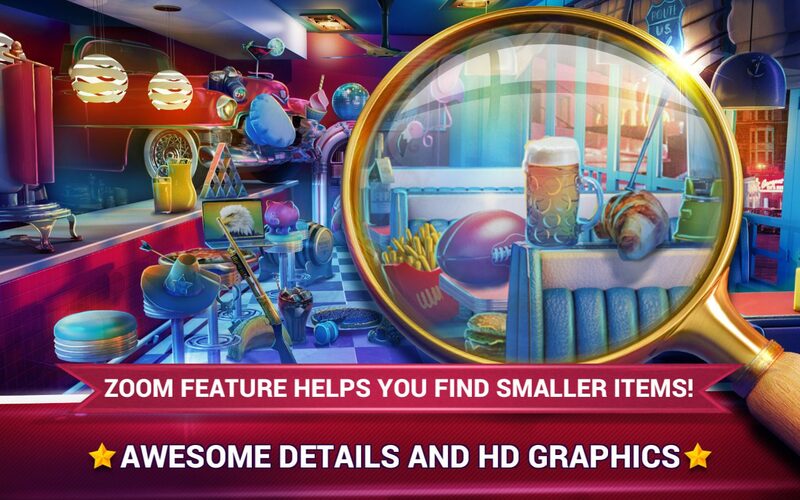 Get ready to look for hidden objects in the pictures of a dinner restaurant, fast food shop, cooking stand, and candy shop – and let all of your restaurant dreams come true! If you’re looking for search and find games, get ready to test your fast fingers and your concentration! 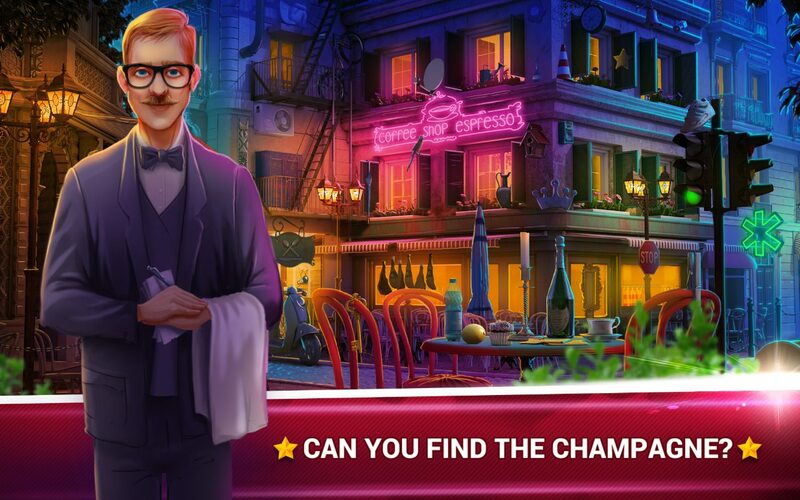 Whether you like restaurant games for girls or cooking games free, you’re surely going to love these mystery games where the objective of the game is to look for hidden objects in beautiful pictures and find as many secret objects as you can! 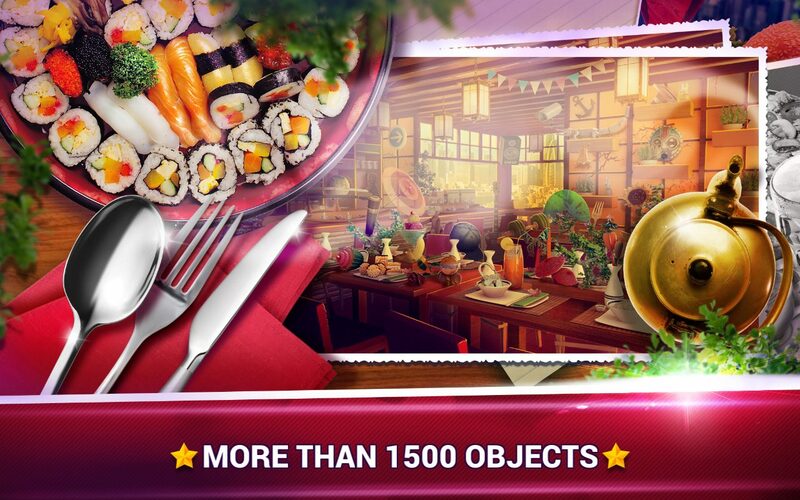 Hidden Objects Restaurants only for you!